The bridge is only open to pedestrians and cyclists. Please enjoy viewing the clear waters of the Nagara River. A fireworks display is held each year in the beginning of August downstream from the Mino Bridge. The length of the bridge is 113 meters, and its width is 3.1 meters. 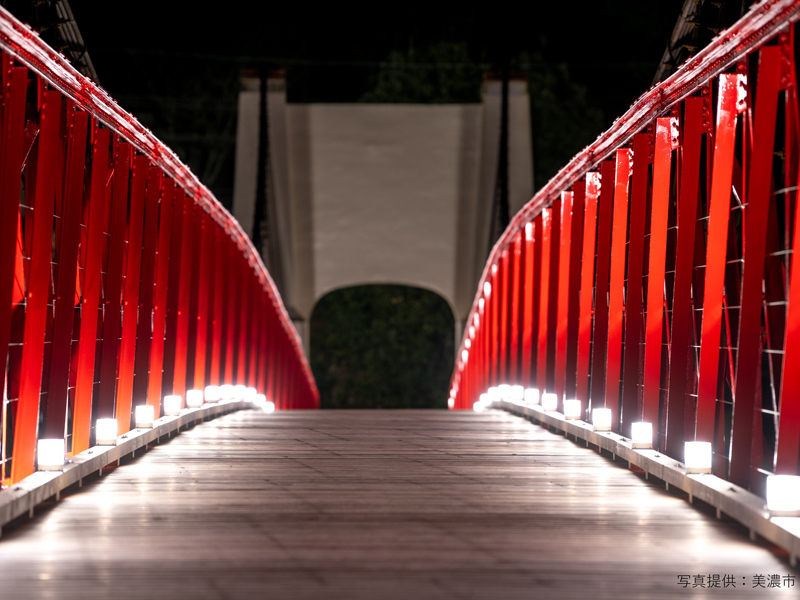 The white snow and the bright red bridge create an unforgettable contrast. 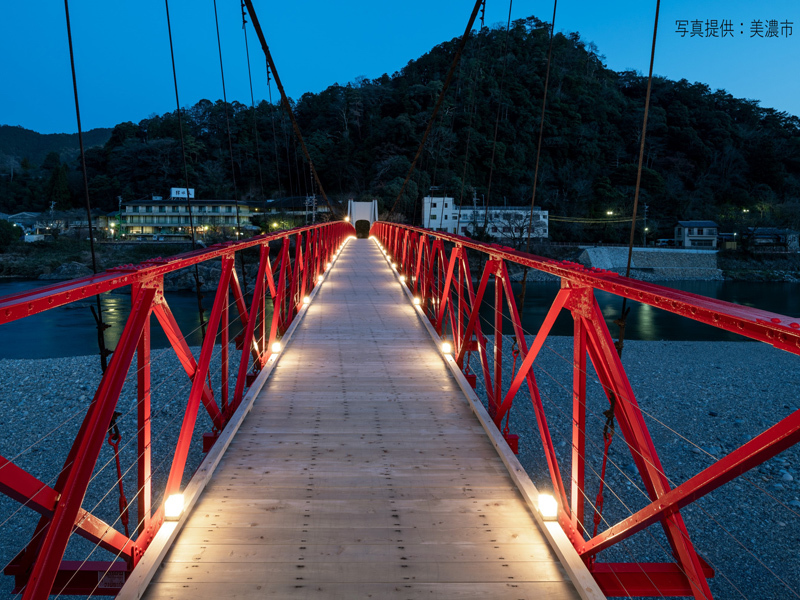 This Bright Red Bridge Is the Oldest Existing Suspension Bridge in Japan. 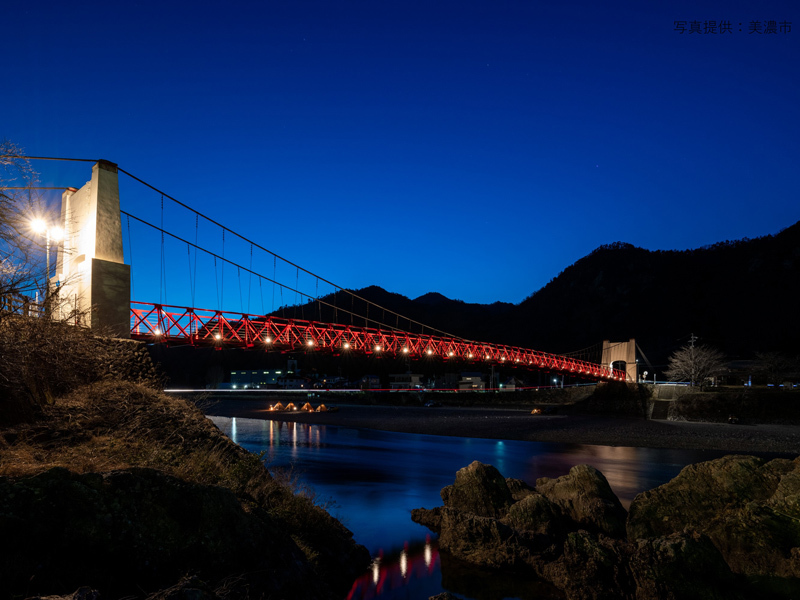 This bright red bridge crosses the Nagara River at the point where the river curves to the west of Mt. 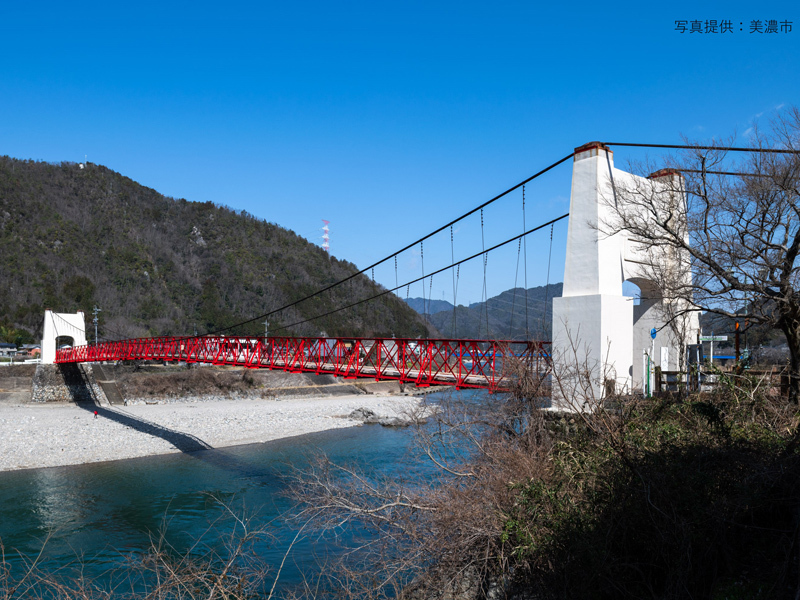 Ogura in the northern part of Mino, and it is the oldest existing modern suspension bridge in Japan. 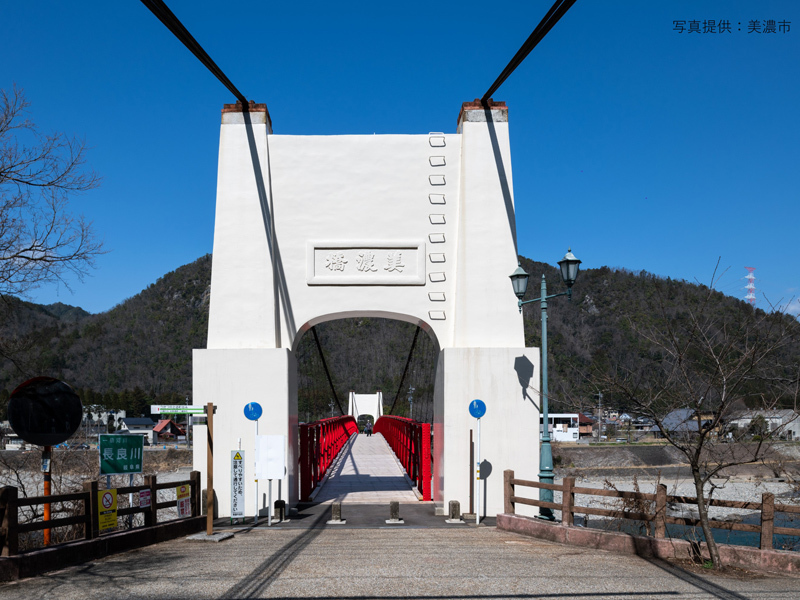 The bridge was completed in August of the 5th year of the Taisho Period. The bridge has a length of 113 meters, a span of 116 meters, and a width of 3.1 meters. When it was constructed, its span was the longest in Japan, so it is a modern structure of great historical value.